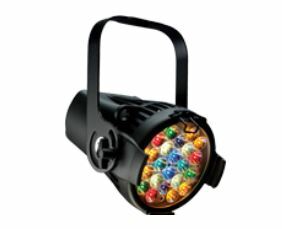 Tapping into the power of the x7 Color System™, which combines up to seven LED colors onto one unit, the D22 comes in four arrays: Studio Daylight, Studio Tungsten, Studio HD and Lustr®+. Using cool-white LED emitters, the Daylight version emulates natural sunlight, with a color temperature of 5,600K. At 3,200K, the Tungsten model can replace less-efficient conventional fixtures for warm-white light. Studio HD creates high-definition white light with variable color temperatures. Lustr+ is the most flexible array, providing nearly limitless color possibilities, from adjustable whites and subtle tints to vibrant, bold colors sure to make an impact in any installation.